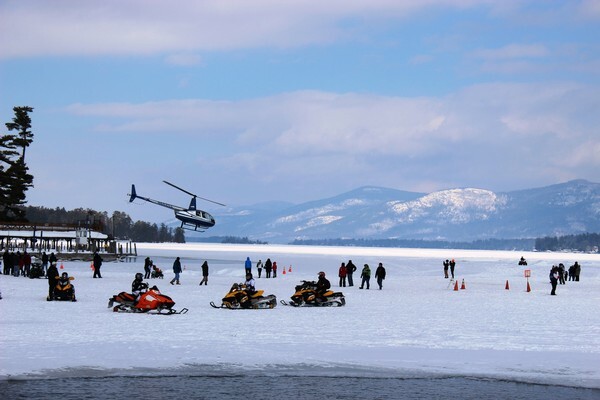 Valentine’s Day isn't the only day to put a smile on the face of your special someone, but with this helpful list of fun things to do in Lake George during Valentine’s Day weekend, you’re sure to give them a day unlike any other. Here are four reasons to bring your Valentine to Lake George over the coming week. Any combination of these fun and exciting events is sure to light their fire and give them chills – or at the very least leave them with memories of an incredible and thoughtful experience! Weekend three of this annual Lake George celebration of all things winter is highlighted by a chowder cook-off at Shepard Park amphitheater (Cost $5). There will also be ice diving demonstrations and ATV/snowmobile races on the lake (weather permitting). From 1:30 pm to 3:30 pm, you can make snow tie-dye T-shirts (cost $12) followed by s’mores and a hot chocolate bar from 4 pm until the supplies run out. Winter Carnival is a favorite among locals and visitors alike for its all-out celebration of North Country weather and culture. Plus, it will give you and your Valentine the chance to walk hand in hand or snuggle close over a cup of something warm! And don’t leave too early – fireworks over Lake George begin at 6 pm! 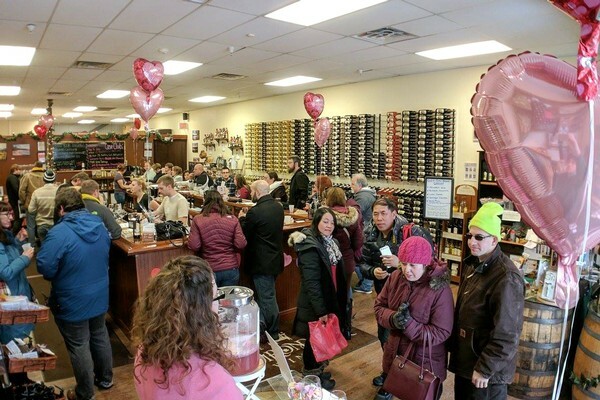 Across the street from Shepard Park, Adirondack Winery’s Lake George Tasting Room is where all the lovebirds will be flocking this Valentine’s Day. The Winery is hosting its first-ever blind wine tasting event Feb. 14-17, and you can get in the action with a Love Is Blind Ultimate Wine Tasting Session for 2, which includes samples of 8 mystery wines for each guest, a locally sourced plate of chocolates & cheese, a wine cocktail for each taster, plus two free tickets to the Adirondack Thunder hockey game on Feb. 22 – all for just $35! There will also be sales on pink wine and chocolate all weekend as well as gift certificate giveaways, free Love Potion No. 9 wine cocktail samples and more. You can also stop in any time during Winter Carnival – and the month of February – for buy one, get one free cups of mulled wine. If you’re looking for romance, there’s no better place to find it than in a cozy Lake George retreat. 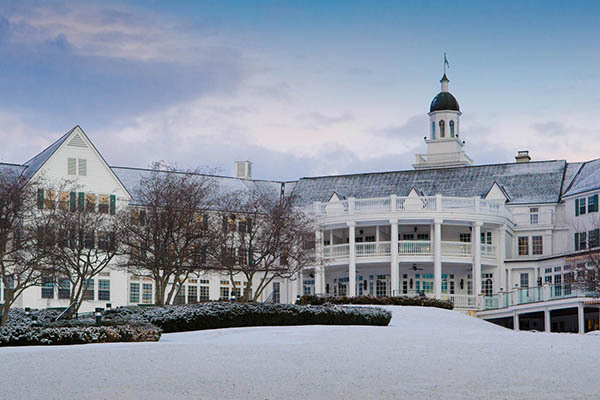 Resorts like the Sagamore in nearby Bolton Landing are known for their extravagance – including gas fireplaces in their suites – but you don’t need to break the bank to find a fireplace to cuddle up next to. Best Western Lake George, the Lodges at Cresthaven in Lake George and the Lamplight Inn Bed & Breakfast in Lake Luzerne are lodging options with beautiful indoor and/or outdoor fireplaces. The Queen of American Lakes is also home to a number of romantic fireplace restaurants, including Dunham’s Bay Resort, the Inn at Erlowest and Bistro LeRoux – each bringing their own unique twist on delicious Adirondack cuisine to the table. Plus, Dunham's Bay is hosting a special five-course meal Valentine's Day weekend. Cost is $89 per couple and includes a bottle of Adirondack Winery Soaring Strawberry, Merlot or Pinot Noir. Click here to learn more. There’s nothing wrong with keeping it simple and if that’s your style, shopping in Lake George is a great – and warm – way to spend a Saturday. 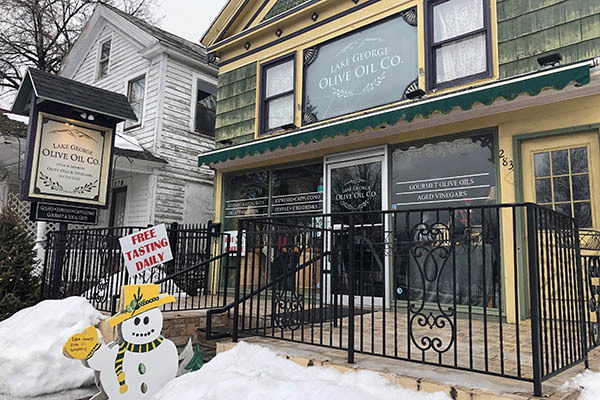 In addition to the Factory Outlets of Lake George (which features stores like Coach, Harry & David, Lindt Chocolate and more) you can find fun shopping experiences at Lake George Olive Oil, where you can sample flavor-infused olive oils to take home with you so you can keep your special day going upon your return (don’t forget a bottle of wine from Adirondack Winery, which is located right next door!). You can also swing by Wax ‘n’ Wix at 38 Montcalm St. to make a candle, and more importantly, another memory of your special day.